The whole lobster at Matunuck Oyster Bar. Personally, I prefer a lobster roll. But it seems that once every summer, I have to order a full lobster despite how much effort it takes to eat it. For me, this needs to be prefaced by a day at the beach so that I’m sandy and salty while I eat it. Matunuck Oyster Bar happens to be located down the street from East Matunuck State Beach, so the location is ideal. Plus, they prioritize fresh, local seafood and local farm produce, which results in a fine meal. 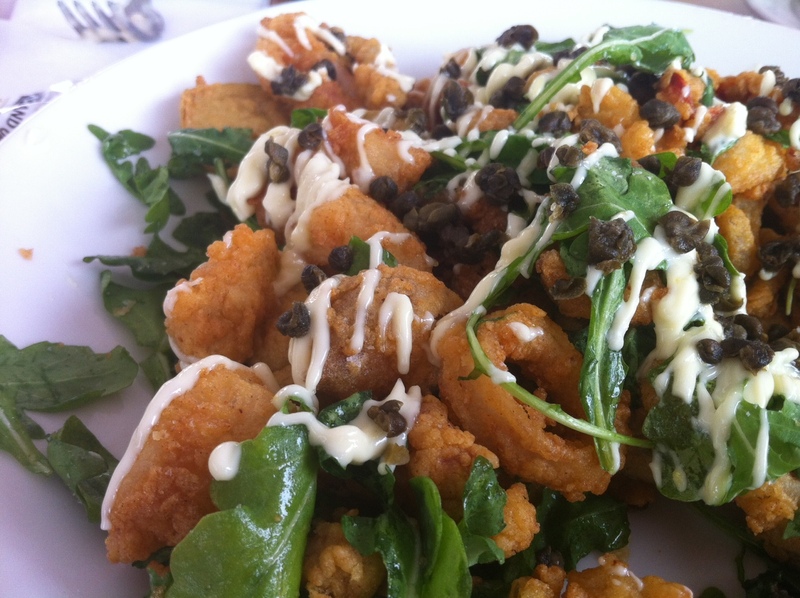 We began our most recent meal with the perfectly tender calamari, which they lightly fry with cherry peppers and toss with arugula and fried capers, and top with citrus aioli. Their clam chowder (New England creamy or Rhode Island clear) also makes a great appetizer, and if you enjoy fresh oysters, you’ll find plenty to choose from here. 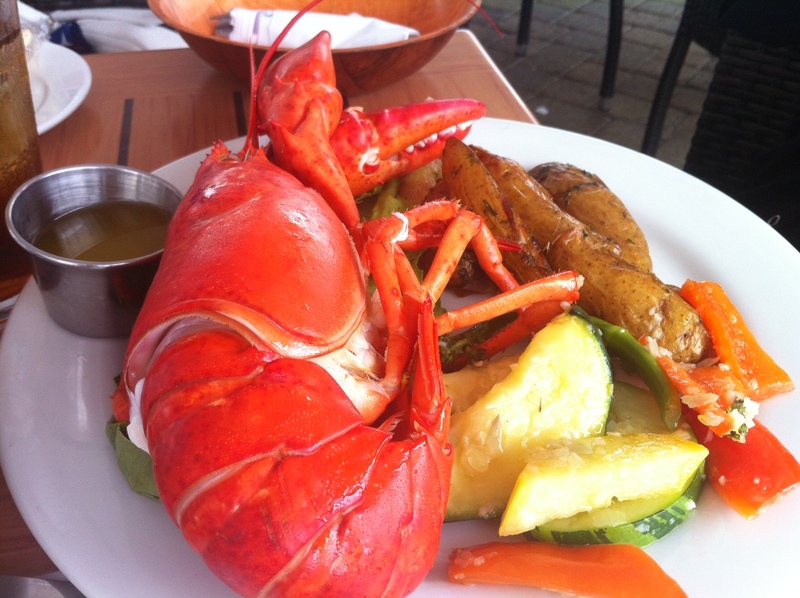 Next came the lobster — a monster of a meal, but delicious, of course. I’d also recommend the pistachio-crusted Atlantic cod with curry brown butter, saffron rice, and local roasted vegetables. Somehow, we still had room for dessert. We chose one of the best fruit cobblers I’ve ever eaten (that Geoff didn’t make). A day at the beach followed by a meal like this — I couldn’t ask for more.